Situated in Whakatane, this eco-friendly motel is 0.1 mi (0.2 km) from Mataatua: The House That Came Home and 4.9 mi (7.8 km) from Ohope Beach. 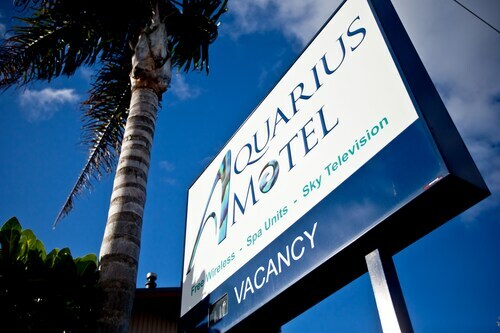 Situated in Whakatane, this motel is steps from Whakatane War Memorial Hall and Whakatane Aquatic Centre. Whakatane Hospital and Otarawairere Bay are also within 6 mi (10 km). 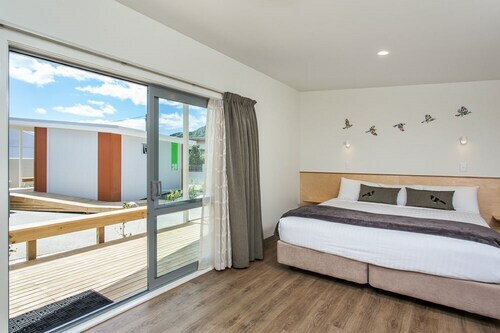 Situated in Whakatane, this hotel is within a 10-minute walk of Pohaturoa, Whakatane District Museum and Gallery, and Mataatua: The House That Came Home. Whakatane War Memorial Hall and Whakatane Aquatic Centre are also within 1 mi (2 km). Situated in Ohope, this golf motel is within 3 mi (5 km) of Maraetotara Reserve, Ohope Beach, and Ohope International Golf Club. Otarawairere Bay and Whakatane War Memorial Hall are also within 6 mi (10 km). 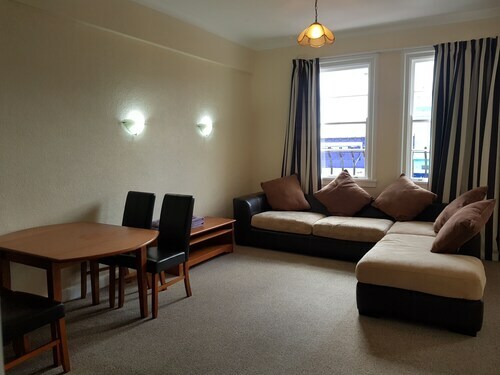 Te Teko only has one place to stay within a 10-kilometre radius of the downtown area. Even though Te Teko isn't renowned as North Island's accommodation hot spot, it is home to the Ashfields Country Garden B&B, which is relatively close to the heart of town. The White Island Rendezvous is situated 19 kilometres from the main part of Te Teko. Alternatively, the Alton Lodge Motel is positioned 18 kilometres away. Two other options here are the Crestwood Bed & Breakfast and the Seaview Bed & Breakfast. Don't hit the road without checking out what's on offer in the rest of the area. Bay of Plenty is known for beaches, coastal plains, forests and rivers. Commonly visited Bay of Plenty visitor destinations include the art museums. Fun-loving types might try their hand at mountain biking in this part of New Zealand. Looking for things to do? Spend a few hours exploring the Pohaturoa, Whakatane District Museum and Gallery and Ohope Beach, which you'll find in Whakatane, 18 kilometres to the northeast of Te Teko. 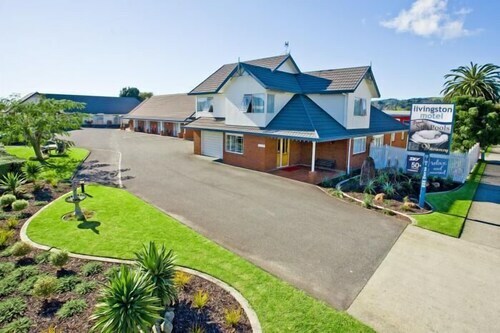 If you'd like to stay in Whakatane, check out the Tuscany Villas Whakatane and One88 On Commerce. 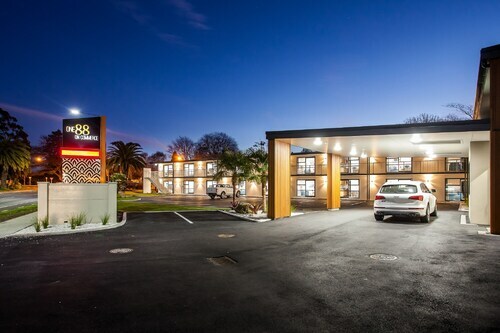 Or, you could stay in Rotorua, 50 kilometres to the west of Te Teko, where you can choose from the Regent of Rotorua and Jet Park Hotel Rotorua. The Lake Rotorua, Polynesian Spa and Kuirau Park are some of the most popular attractions to experience in Rotorua. Wotif can take you to Te Teko, on time, on budget and in style. So leave the goldfish with the neighbours and start packing! How Much is a Hotel Room in Te Teko? Hotels in Te Teko start at NZ$74 per night. Prices and availability subject to change. Additional terms may apply.